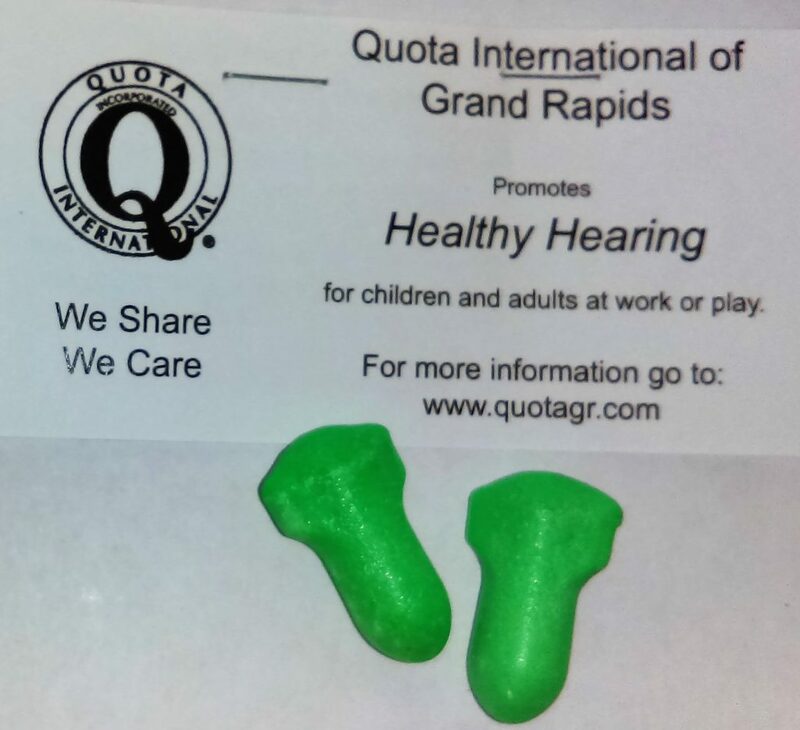 When you shop at the Fulton Street Farmer’s Market on the first Saturday of the month, you will be greeted by a friendly group of Quotarians who are there to not only volunteer for the market by selling coffee for them, but to help promote Healthy Hearing. We offer ear plugs to shoppers,explaining how important it is to protect your hearing while running loud machinery (think lawn mowers and leaf blowers) or while attending concerts. We also offer shoppers an opportunity to learn about Quota, drop off used hearing aids, donate, and participate in upcoming projects.